Project Stealth is the most recent charity selected. Previous charities include Canvas Health TXT4LIFE, Accessible Space, Cars for Neighbors, Blair’s Tree of Hope, One Heartland, Youthlink, Spare Key, Domestic Abuse Project, Avenues for Homeless Youth, Employment Action Center, and Washburn Center for Children. Membership in The Power of 100 has increased by 40% in the past year and now totals 215 individual and team members. 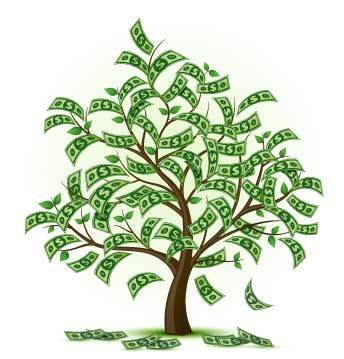 In addition, quarterly donations have increased by 30%. 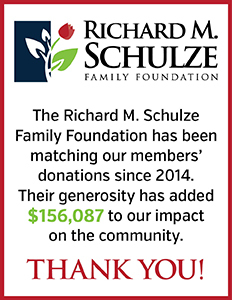 Also contributing to The Power of 100 is Richard M. Schulze, well-known entrepreneur and founder of Best Buy and the Richard M. Schulze Family Foundation. Mr. Schulze is engaging in a trial pilot program with The Power of 100 and will match at a 2:1 basis, all dollars donated over a baseline contribution level of $12,500, contributing a maximum of $12,500 per quarter. Ten friends whose mission is to bring women together to make a meaningful and influential donation to local charities formed “The Power of 100 – Twin Cities Women Who Care” in 2012. With the collective power of more than 100 women, the group raises at least $10,000 each quarter for local charities and non-profit organizations. Modeled after similar organizations in other states, the group is now composed of 215 women in the Twin Cities area, and is still growing. In addition, a new local chapter is now starting to operate in Eden Prairie, Minn. Requiring members to meet for only one hour every three months, the organization quickly obtained support from women around the metro area. At the quarterly meetings a charity is selected through member voting; the members each write checks for $100 directly to the charity at the event. The next meeting of The Power of 100 will be held on Monday, September 21, 2015 at Hampton Inn – North Metro Event Center, 1000 Gramsie Road, Shoreview. The meeting begins at 7:00 p.m. and ends promptly at 8:00 p.m. A social hour precedes each meeting. New members are welcome to attend and participate.